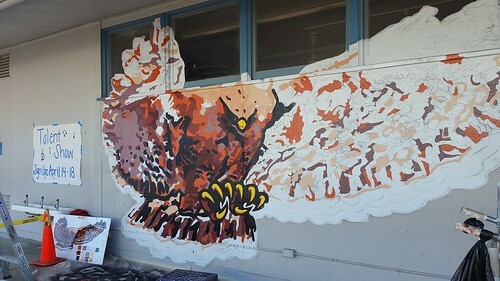 Big City provided a school mascot mural recently for Hutchinson Middle School in La Mirada, near Los Angeles in southern California. 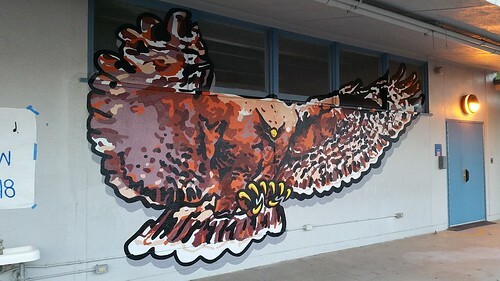 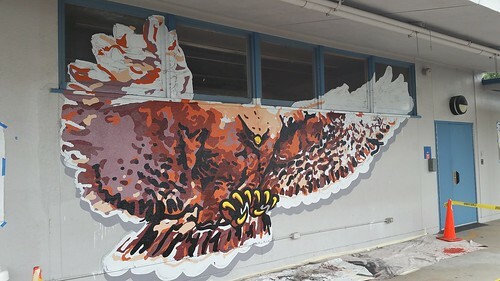 The client wanted their mascot, the hawk, hand painted in a very large graphic, or what we call supergraphics, making a very impactful impression. 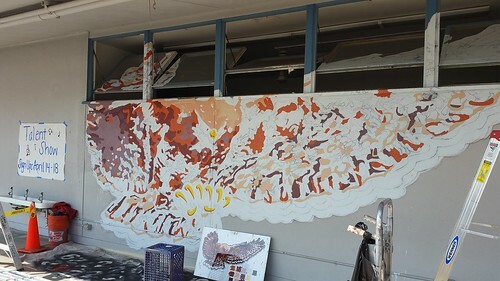 (I speculated that they thought about using it for discipline - they could threaten to feed unruly children to it, but that's just my odd way of thinking…) The project started in the shop - after settling on a design, a photo was traced to create the 12 colors that would be used. 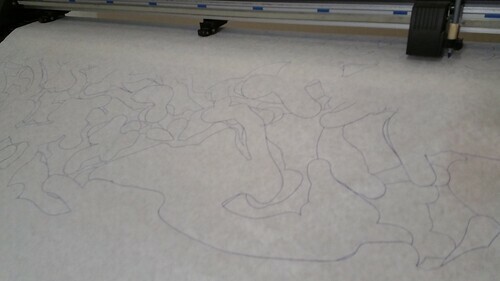 That electronic file in vector format could then be drawn out on the plotter to create the paper pattern for transferring the design. 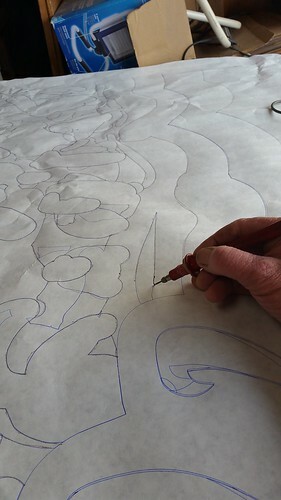 Then it was on to the project location. 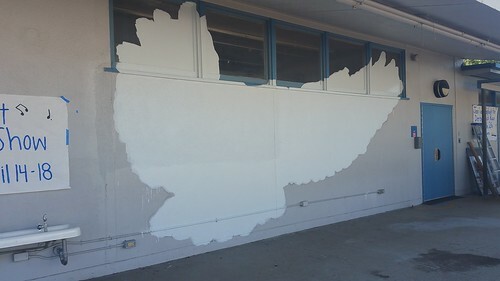 After preparing the wall and the windows the graphic would be painted over, the base coat was painted. 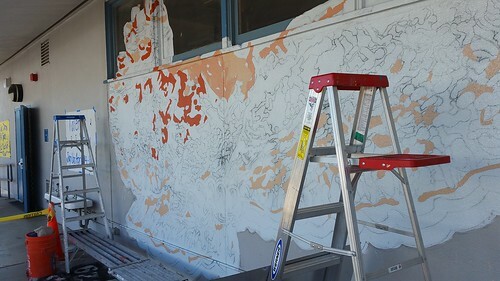 Over the next few days, the tedious task of painting in the little blocks of color proceeded. 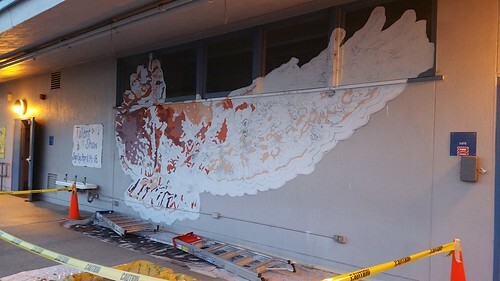 The work began to develop, and the kids at the school really enjoyed watching the progress.